B&D Doors is a leading manufacturer and distributor of Garage Doors in Australia with a proven 50 + years in the garage door industry, with manufacturing plants across Australia as well as in New Zealand and Hong Kong, B&D is today recognised as the specialist in residential as well as industrial garage doors and shutters. 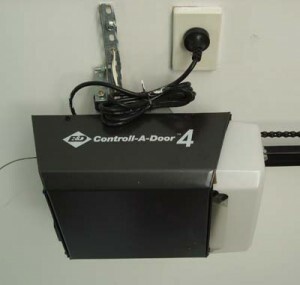 To ensure your B&D door & motor is operating smoothly. To keep your door running well, it is recommended that your door & motor are serviced every 12 months or earlier if required. As you would service your car to ensure continued optimal performance, you should also service your garage door. Servicing ensures springs, tensioning and openers are operating as they should be, and helps to avoid potential problems with your door and opener in the long-term. Our qualified technician are experts with B&D door repairs and servicing. Our service vehicles are equipped with all door parts, steel hinges, rollers, remote, opener’s, weather seal and list goes on. We also have motor parts for the MPC2, CAD4 control-a-door 4, CADR, CAD power drive, CAD whisper quiet.